Welcome to the Virginia Tech Undergraduate Historical Review, where we publish the best undergraduate original historical research! 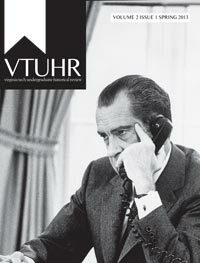 VTUHR adds to historical scholarship by publishing original historical research conducted by undergraduates. 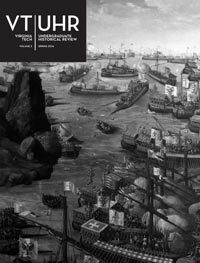 Our articles contribute to the scholarly conversations that surround their topics and add fresh perspectives from a new generation of scholars. 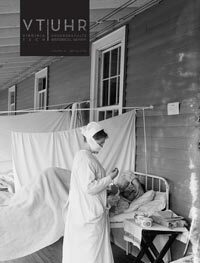 The mission of the journal is to publish outstanding original historical research while providing undergraduate editors and authors the chance to learn about the publishing experience. By encouraging undergraduate research and on-the-job training for our undergraduate editors, VTUHR contributes to Virginia Tech's commitment to experiential learning. Offering all of Virginia Tech's students who are taking history classes the ability to submit their work for consideration gives our journal a broad reach, as many students from other majors take history classes and produce final papers that could be submitted for consideration. Sending out the call for papers to other regional institutions also ensures that the topics covered in our volumes represent the best research by giving us a larger number of submissions from which to make our final selection.